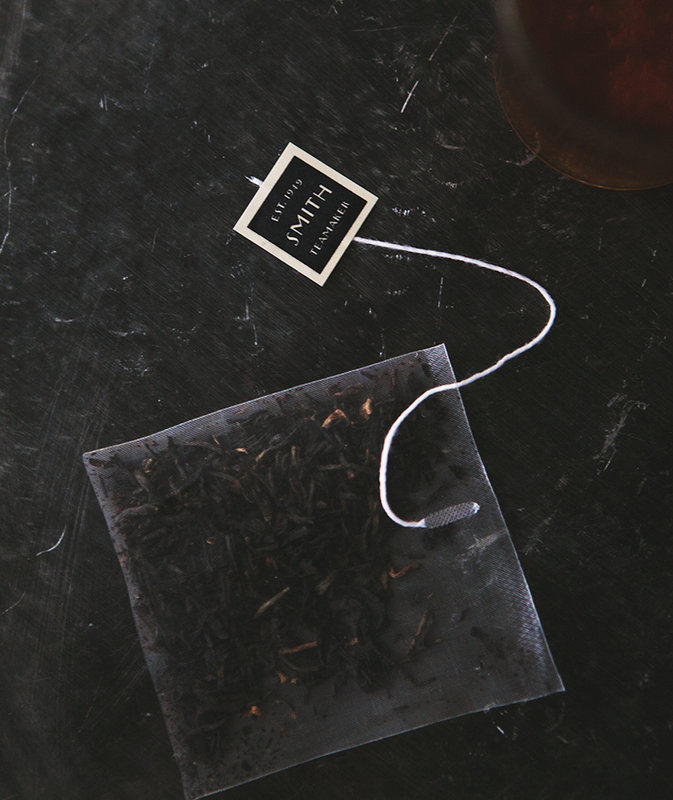 The iced tea cravings are in full swing once the summer heat & humidity kicks in. Ginger liqueur and rose simple syrup are a killer combination if you're looking to dress up your iced tea game. We've been a little busy with crazy travel schedules and work commitments. I don't usually post something in the same genre so close together but you can never have enough summer cocktails. It's the season of day drinking so I probably shouldn't worry too much. I was so excited to find this Rose Simple Syrup at Art in the Age in Old City. That store is all around beautiful, and has a handful of other cocktail fixings that I'm dying to try. I showed Robert the bottle and we both had the same thought in our head. This will be perfect for Summer drinks. 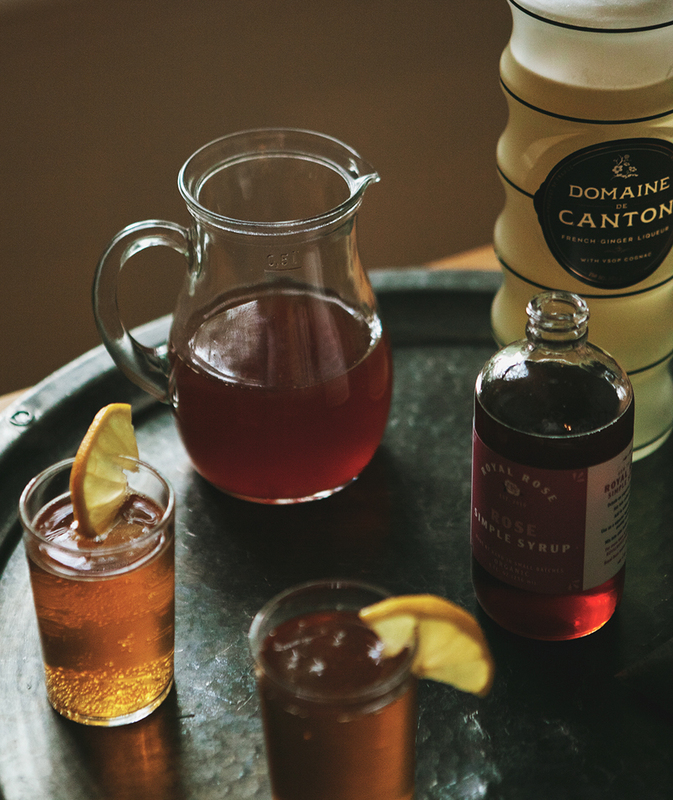 Our big bottle of Domaine de Canton is often forgotten about, but the addition of ginger here was perfect, and now that we have some rose simple syrup to play around with, I think it'll be in my regular drink rotation for the rest of Summer. It's so good. In a cocktail shaker filled with ice, stir to combine simple syrup, ginger liqueur, and black tea. Stir until thoroughly chilled. Strain into a glass and top with sparkling water. Serve with a lemon wedge.